A Couple of Twists to Be Out of a Pinch! 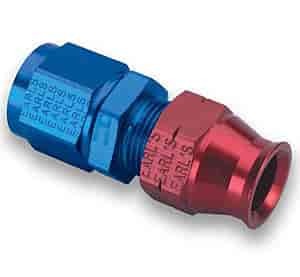 Earl's Hard-Line AN Tube Fittings are precision machined from aluminum, then anodized red & blue for great looks and protection. These fittings are used to connect the bare end of a hard tube to an AN style fitting. They are rated at 250 psi max and sold each. 165106 is rated 5.0 out of 5 by 1.